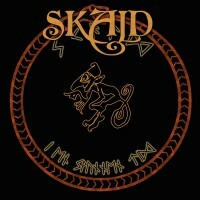 Swedish folk metal band SKALD was formed in November 2005 by the two friends Henrik & David who then decided to play folk metal, inspired by old Nordic folklore and the majesty of the Scandinavian nature. After two demos in 2006 "Sagor från skogstjärnen" (Stories From The Forest´s Bog) and "Trolska Vemodsband" (Trollish Bonds Of Agony) it is time for their debut M-CD "I En Svunnen Tid" (In A Vanished Age). Yxmarder from Blodsrit is guestplaying violin! Limited to 500 copies!